Goat cheese is a cheese I used to hate when I was younger but that’s not the case anymore ! Its mild taste goes well with the sweetness of honey. They’re kinda like a food OTP to me, like cheese (in general) tastes 1000% times better with bread! 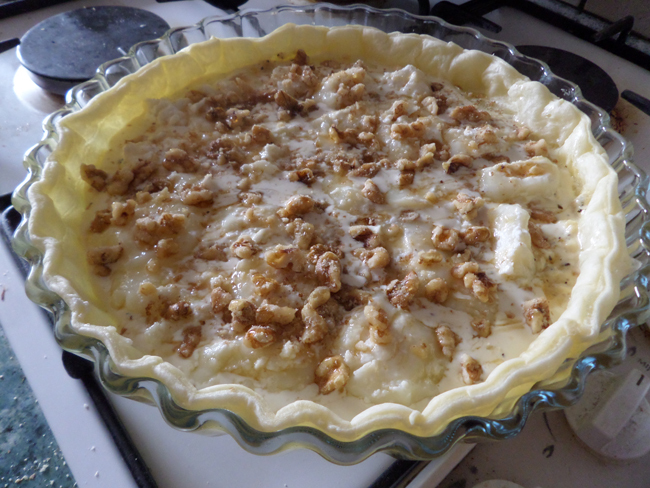 Walnuts are also often found paired with goat cheese and raisins sometimes too. 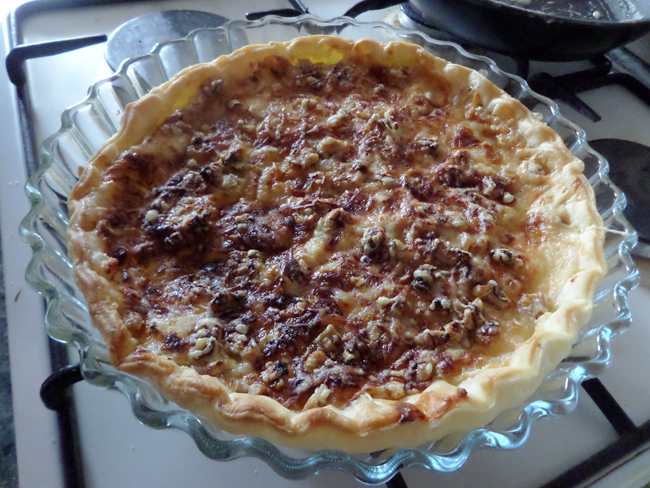 To be honest, there are usually onions in this tart but one of my friends dislikes onions so we decided to remove them and add walnuts too. Cook the cream in a pan on low heat for around 5-10 minutes with the seasonings of your choice. I like to add herbs aside of salt and pepper but you can also add onions. It looks like it turned out really well! I don’t think I’ve ever had goat cheese before or have ever had cheese with honey before. Sounds really interesting, haha. I’ll have to try it out sometime! I grew up on goat cheese, because that’s the cheese of my dad’s family and people. <3 Looks good! I was introduced to goat cheese last year when I had them stuffed in dates wrapped in bacon. I even made those at home, and I’d fallen in love with goat cheese since! I need to see what else I can do with that cheese, and this recipe may be something I’ll try!